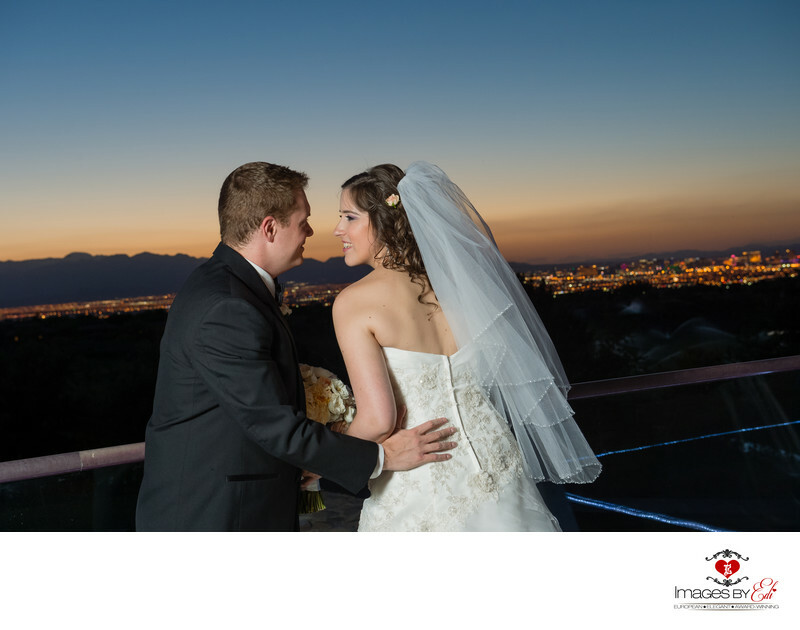 Jewish couple having an intimate moment on the patio with the Las Vegas Strip in the background during the second sunset at their Anthem Country Club wedding. Keywords: Anthem Country Club Las Vegas Wedding Photographer (9), Anthem Country Club Las Vegas Wedding Photography (9), Images by EDI (300), Las Vegas Wedding Photographer (624), Las Vegas Wedding Photography (642), sunset wedding. (3), Wedding Couple (204).